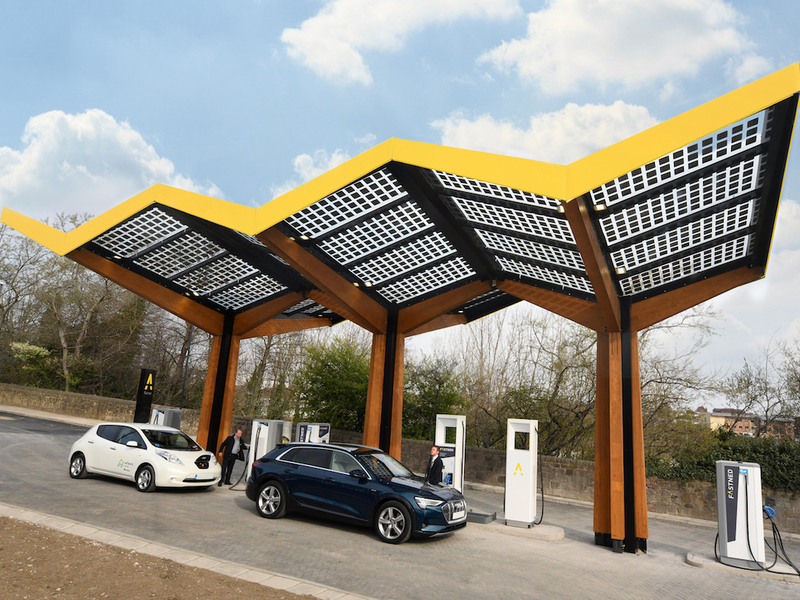 Developed by technology group ABB and managed by Dutch company Fastned, the charging station offers four 50kW fast chargers and two 175kW fast chargers that are already enabled for 350kW charging. This will help ready the network for the next generation of electric vehicles with high-capacity batteries. 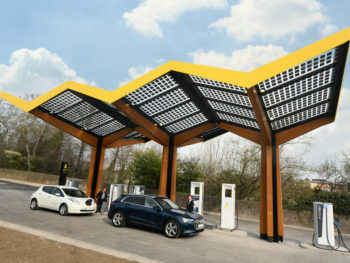 The charging station, which uses solar panels to bring up to 100% renewable energy, will initially be available free of charge before the payment system is activated, based on a pay-as-you-go per kWh charge and offering payment via charge card, credit or debit card and Apple or Android Pay. The Fastned app will go live later this year, offering automatic charging.